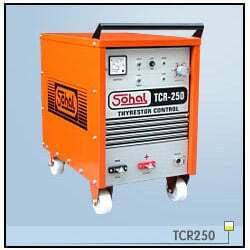 SOHAL TCR 250 / TCR400 Welding rectifiers built using state-of-the-art Thyristor technology. Welding Rectifiers as their name are Direct Current Welding Machines overcome from AC Welding Machines by higher strength,better finish, lower spatter and radiographic Welding possibility. These machines are designed as to consume minimum electricity, robust construction, user friendly and for continuous welding. The major applications include, i.e., Steel Plants, Structural Fabrication, Mill sheds, Die Repair and special ferrous and nonferrous Welding.